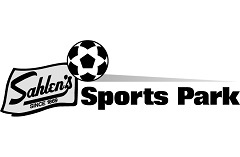 Welcome, Sahlen's Sports Park guests! Country Inn & Suites® by Radisson, Buffalo South I-90, NY is pleased to offer you a special discounted rate during your time here. This rate is available for stays from April 4, 2018 to December 31, 2019. Guests must be 21 years of age or older in order to reserve a room at this property. This offer cannot be combined with any other promotions or discounts. This rate does not include tax.